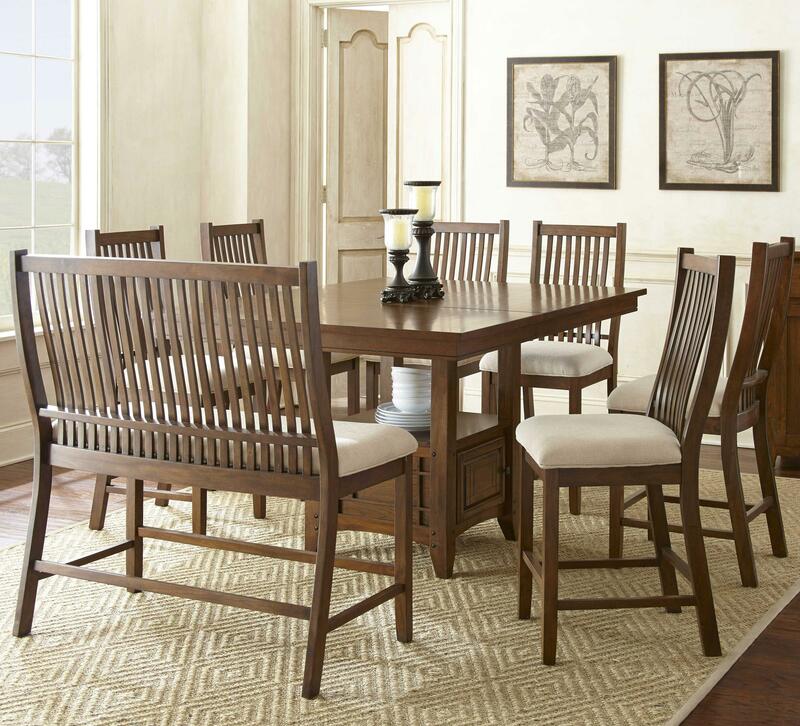 Inspired by Arts and Crafts style, this counter height dining set exudes casual warmth. 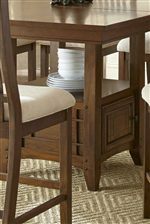 The table features a storage pedestal with open and concealed storage space for dining necessities. 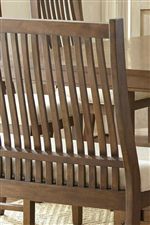 Tapered legs, slatted backs, and stretchers all highlight classic Arts and Crafts design elements, and an Oak finish gives each piece a warm and inviting look. Poly-cotton upholstered seats promise comfort, and an included bench creates additional seating space that's perfect for children. The Kayan 8 Piece Counter Height Dining Set at Ruby Gordon Home in the Rochester, Henrietta, Greece, Monroe County, New York area. Product availability may vary. Contact us for the most current availability on this product. The Kayan collection is a great option if you are looking for Casual furniture in the Rochester, Henrietta, Greece, Monroe County, New York area. Browse other items in the Kayan collection from Ruby Gordon Home in the Rochester, Henrietta, Greece, Monroe County, New York area.